Osteoarthritis, neck and back pain, and other musculoskeletal (MSK) ailments, including hip, knee, and elbow problems, to name just a few, are the leading causes of disability, and a massive financial burden to the health care industry worldwide. This is a fact. It is not my opinion. What’s the safest, most efficient and cost-effective way to relieve back pain? Should I take medicine for my headaches or get a massage? Should I get a hip replacement or do weeks of physical therapy? Is my cell phone giving me neck pain? These, of course, are just some hot-button questions, but my point is that the MSK industry is governed by the scientific process. There are no ulterior motives when I provide an evidence-informed treatment plan for an MSK complaint that I diagnose in my office. Now, yes, I recognize that the scientific process also means that the answers can change, new questions are asked, and there is never a finish-line. I bring this subject up (again) because this week, my respected colleague, Dr. Dwight Chapin, wrote an op-ed for the Globe & Mail entitled, Despite the tired narratives, chiropractic is backed by evidence. It was well written, made no false claims, and, in fact, refuted some antiquated ideas propagated by a small, shrinking sect of the chiropractic world that refuses to be part of the scientific process. This refusal to evolve is a problem with our healthcare industry. They fuel the nay-sayers and weaken the respect chiropractors deserve for playing our part in unburdening the global MSK problem, including the much publicized opioid crisis. When I reached the end of the article, I was horrified to read reactionary comments biased by emotion and ignoring the facts. Perhaps this article was just more of the ‘fake news’ we keep hearing so much about. But, just because we hear the term ‘fake news’ doesn’t mean everything we hear and read is fake. If the scientific process proves a fact. Isn’t it a fact? If someone simply opines that the fact is wrong, is it? The president of the United States seemingly does this all the time: he refutes facts with his biased opinion with ulterior motives. This is not okay in politics, and it is not okay in the politics of healthcare. If the evidence-informed best practice strategy for neck and back pain is exercise, education of the problem, massage, mobilizations and/or manipulation, why are we still refuting these facts as though they are simply the opinion of musculoskeletal therapists? Physical therapy, such as the methods just mentioned, outperform medicine, surgery, and rest. And, in the long run, the rehabilitation of aches and pains throughout life gives patients the best chance to live a physically healthy life, without ever needing to resort to medicines and surgeries. Another new patient sought my care last week in the aftermath of a car crash. My consultation and examination revealed minor sprains and strains to her neck and low back joints. The evidence for treating whiplash type sprains and strains to the spine includes joint mobilizations and/or manipulation, in combination with massage, education, and exercise. (And, understand, the education and exercise advice is not a throw-away. Some clinicians perform these aspects of patient-care very well, while others do not. It matters when we evaluate the effectiveness, efficiency and cost-effectiveness of the care.) The auto-insurance industry knows to recommend chiropractors or physiotherapists for the treatment of these injuries. The scientific process produces research to support such an approach. And yet, this patient revealed to me that her family physician did not recommend these therapies. Why not? Surely this family physician is familiar with the latest evidence-based protocols for the #1 MSK complaint to her office (neck and back pain). Surely this doctor, this gate-keeper of the health care industry, is not allowing her doctoring to be biased by her opinion, rather than relying on facts. Surely this doctor, paid by our tax dollars via the OHIP system, is not treating her patient with an outdated model of care for her neck and back pain! Why should I be so shocked to read comments in a newspaper that refute facts, and providing none of their own, when our very own doctors are refuting and/or not endorsing the facts themselves. I’ve written on this subject before, but it needs to be repeated. This is a call to knowledge. Knows the facts. Think critically. Ask questions. 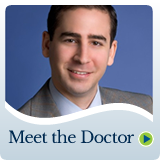 In a positive spin, I write this blog a day before speaking at a local family physicians’ office to educate and provide ongoing support of best strategies to treat MSK conditions. This is a terrific group of informed medical doctors. If it is not okay for me, a chiropractor, to tell a patient not to vaccinate their child (and, I do not provide such advice), why is it okay for a family doctor to tell a patient not to see a chiropractor for back pain? The recommended treatment, taking into account risk, cost-effectiveness, etc., supports the current guidelines for vaccination and the use of manipulation, mobilizations of joints for the treatment of spine-related pain. In this sense, they are the same – evidence-informed protocols. So, why the double-standard on communication to our patients?